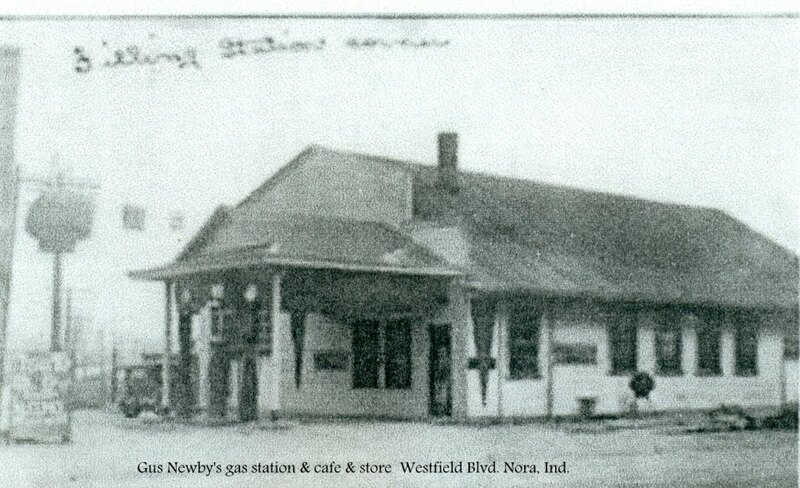 The Newby gas station and general store once stood at the very rural southeast corner of Westfield Road and East 86th Street in the days before Indianapolis claimed the area. 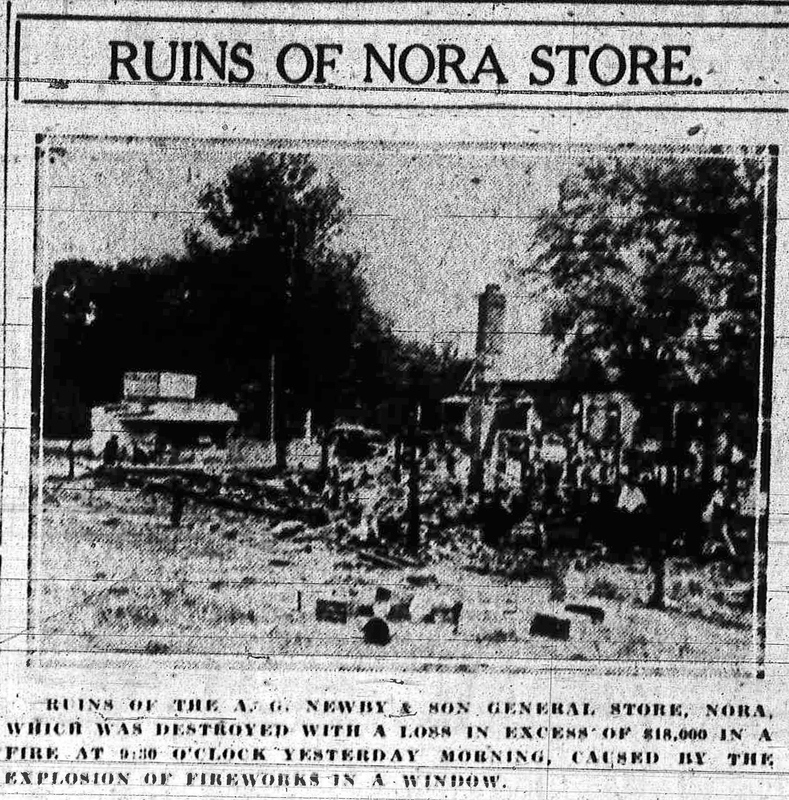 “Fire Razes Store at Town of Nora,” the June 23, 1926 Indianapolis newspaper headline reported on page 10. “Started by Fireworks Explosion in Window — Village Menaced,” the colorful title concluded, describing the events of the day before. The store in question was owned by A.G. (Gus) Newby & Son (Russel) and was located at the crossroads of Westfield Road (then called SR1) and E. 86th Street at the thriving center of the hamlet of Nora. Property damage was estimated in excess of $18,000. Fire investigators believed the rays of the sun, concentrated through a heavy plate glass window, ignited a selection of firecrackers and other holiday incendiaries displayed for the upcoming 4th of July. The firecrackers exploded and bounced about the store igniting other goods, engulfing the entire building in minutes. While the underground gas tanks fortunately failed to explode, a truck owned by Schlosser Brothers Creamery, loaded with $950 worth of butter and cheese, was destroyed in the ensuing conflagration. Post apocalypse: the Newby store, rebuilt. 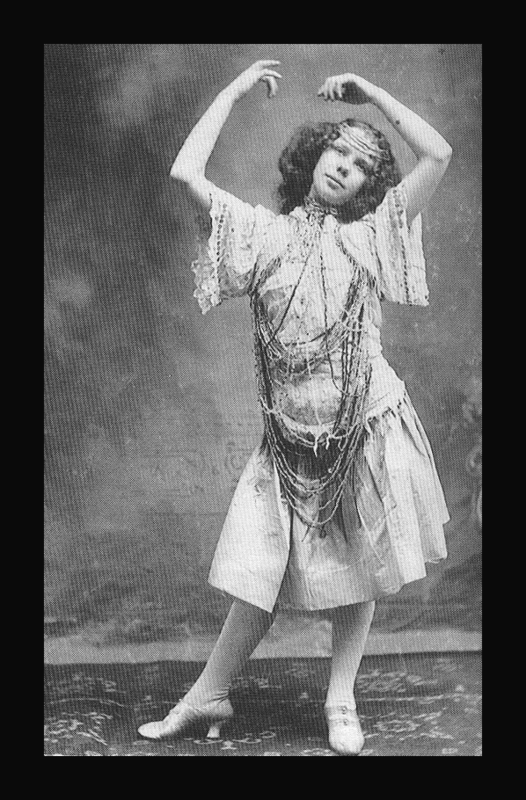 It was, after all, the Roaring Twenties. 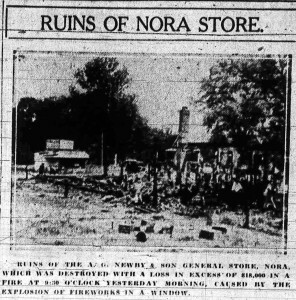 As Broadripple and Brightwood fire brigades rushed to the scene, Gus Newby, store owner, attempted to remove the fireworks from the store to no avail. As soon as they could get there, trucks from the Indianapolis fire stations joined in the fire fight, pumping water from a ditch, a quarter of a mile away. Farmers rushed in from neighboring fields to help and, though the store was a total loss, fires were successfully extinguished from the roofs of neighboring buildings. The Nora area was isolated from telephone communication for several days due to fire damaged lines. Traffic at the busy crossroads was blocked till the next day. 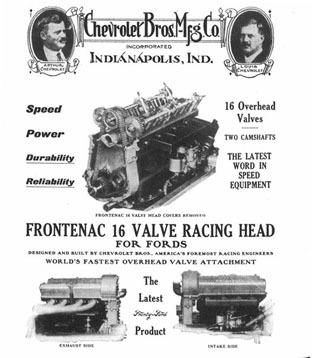 Though it’s difficult to see from this grainy microfilm scan, the destruction of the business was complete. 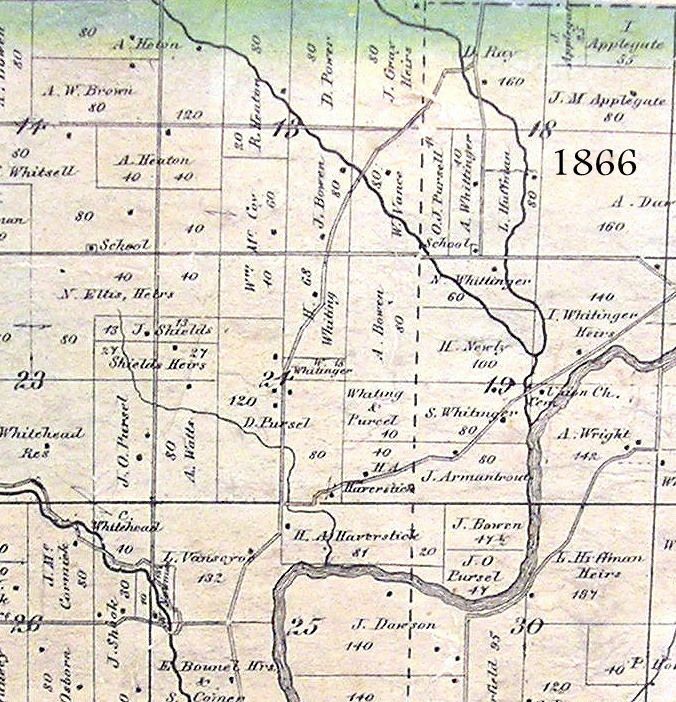 Though the land had been passed, for decades, down the family through the Bowen line, Gus Newby had only been in business on that site for two years. 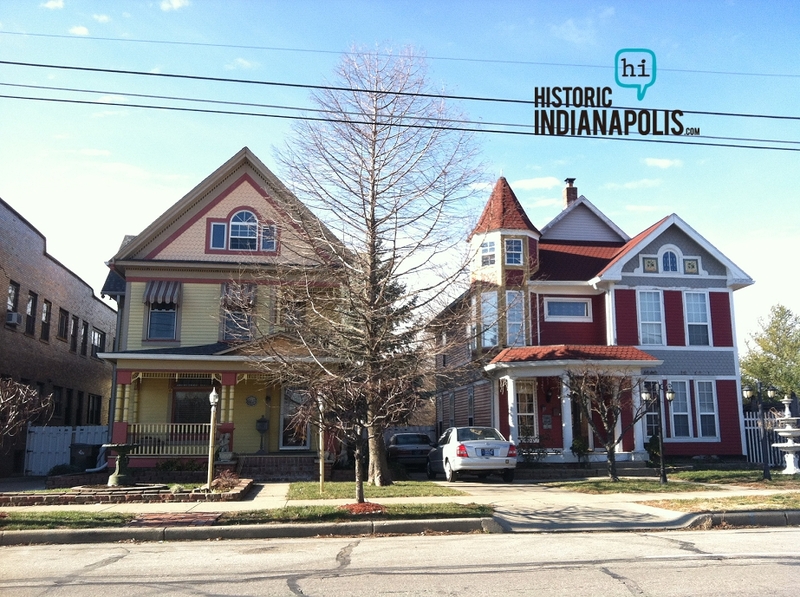 He did eventually rebuild the enterprise, but in 1942 Gus’s son, Russel, was forced to tear down the building where the family had both lived and worked in preparation for the widening of 86th Street. 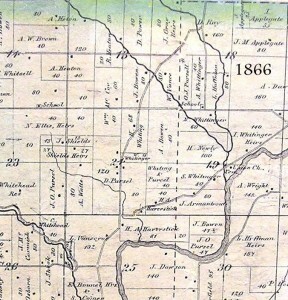 The Newby land had been handed down the family for generations through the Bowen line. 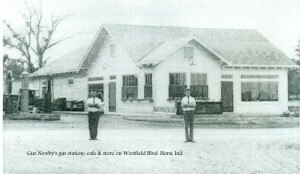 Today, several businesses and several generations later, the site plays host to a Walgreens drugstore and bears no hint of the accidental fireworks show of 1926. The fateful corner, current day. What are your neighborhood’s rumored stories? 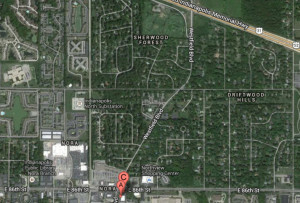 What photos/maps/information do you have to add to the Newby gas station story? PreviousWTH: You Say It’s Your Birthday? 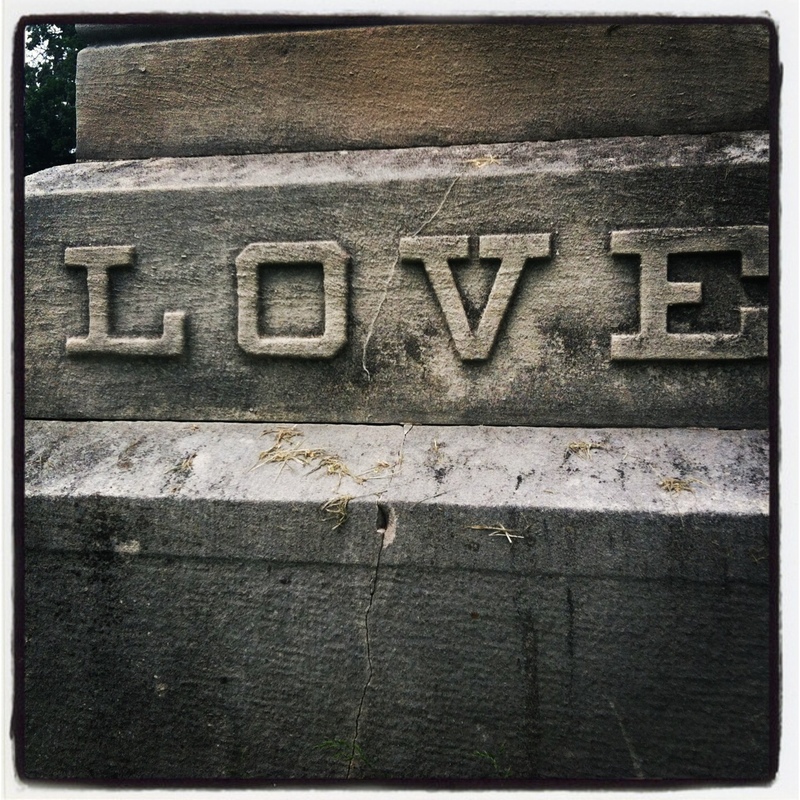 Seems like a long run from a Brightwood Station to Nora. 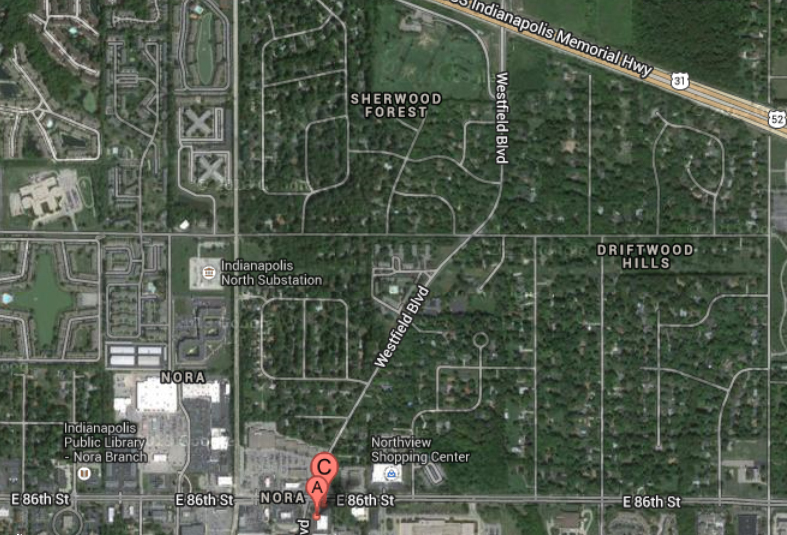 But if that was next nearest from Broad Ripple at the time, I suppose that is why they went.